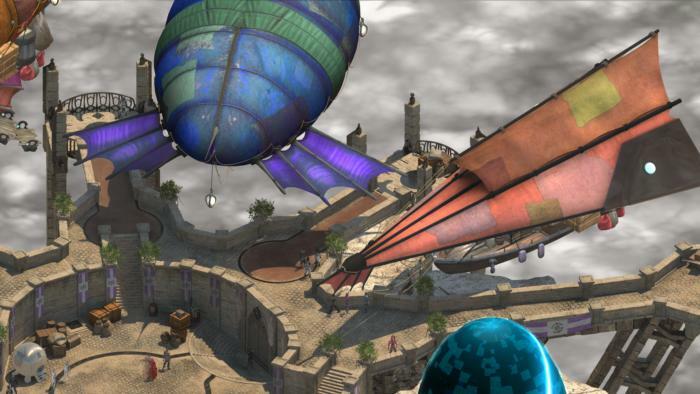 We go hands-on with the upcoming RPG for three hours of weird. That’s how it felt when I sat down to play Torment: Tides of Numenera recently. I was the last one scheduled to use the PC that inXile had set up in the corner, and so I was told I could play pretty much as long as I wanted. I took full advantage of that offer, wending my way through half a dozen discreet stories in “The Bloom,” a massive slug-like organism that contains an entire city inside its stomach, itself stuffed with multiple political factions, a transdimensional marketplace, and “The Gullet”—a place where those who’ve fallen out of favor with the Bloom are slowly digested and then spat back out, body intact but their memories gone. 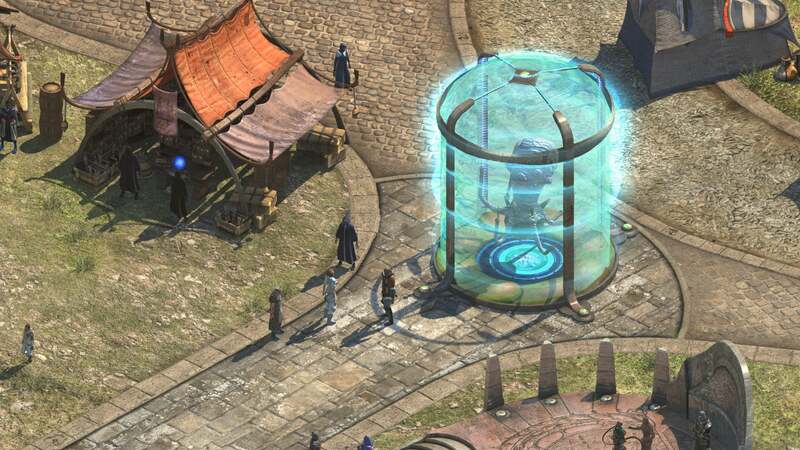 Torment: Tides of Numenera is weird. As. Hell. And that’s possibly the highest compliment I could pay. 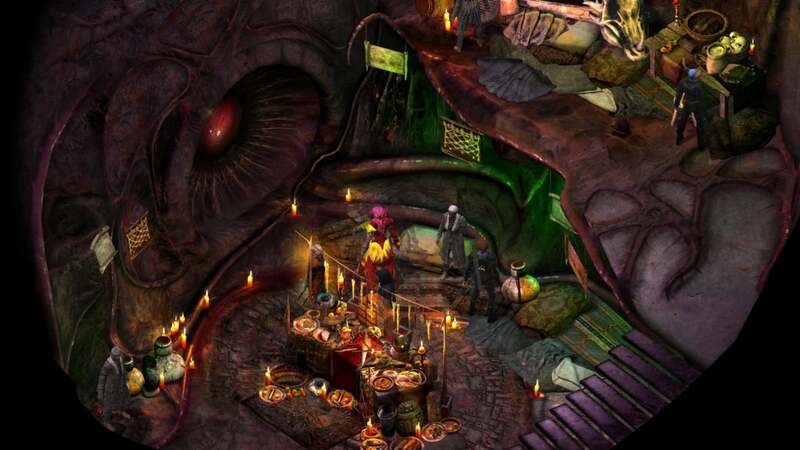 This is, after all, a successor to 1999’s Planescape: Torment, a game considered a classic in large part because of its nontraditional structure and setting. We’re delving into 17-year-old spoilers here, but Planescape: 1) Eschews the traditional “save-the-world” drama to focus on an intensely personal, philosophical story. 2) Has you play as a no-name character who has died-and-been-resurrected-sans-memories possibly hundreds of times. 3) Takes place across multiple “planes of existence” a.k.a. dimensions, including one memorable sequence wherein a city slips over the boundary between Neutral and Chaotic planes, with disastrous results. Play Planescape nowadays (I finished it again two weeks ago) and it's clunky and ugly and often obtuse. It’s still revered though, because in all the 40-odd years of video game history there is no other game quite like it. 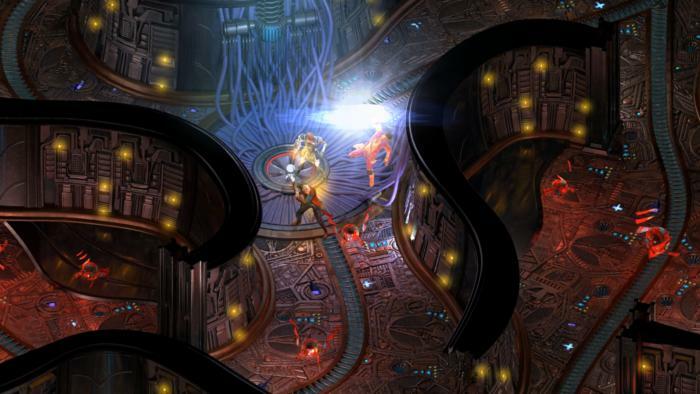 I’m trying not to make any grand, sweeping statements about Torment: Tides of Numenera. I’ve only played a small fraction of the game. But what I’ve seen is spot-on, striking the same balance as its spiritual predecessor—weird and alien, but not in a random way. Quite the contrary. The Bloom has well-established rules, a structure you’ll come to know and understand across dozens of different conversations. It’s a dense game. Not maybe so dense as Planescape, where dialogue often reads more like a series of philosophical dissertations than two characters talking. 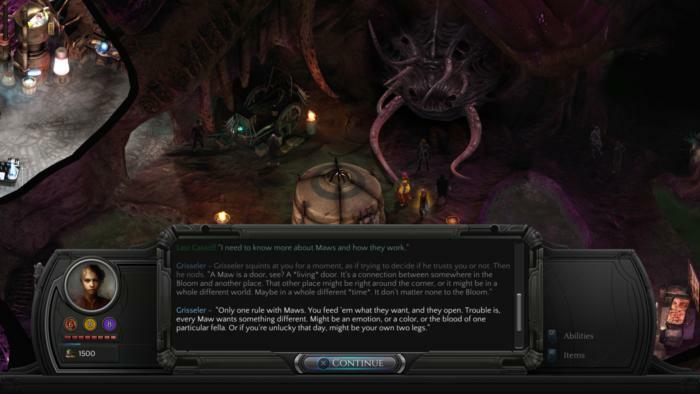 Tides of Numenera is better at hiding its subtext within the trappings of an actual conversation. Think of Tides sort of like Alignments in Dungeons & Dragons, but linked to the context of an action rather than its morality. The Blue Tide is related to seeking out information, for instance, while Gold is related to sacrificing yourself for others, and Red means you follow your passions. As I said though, these aren’t tied to morality. You see Gold and its relation to sacrifice, to empathy, and you think “Well that’s the Good Guy route”—and yet a Gold Tide can just as easily attach itself to false modesty, to sacrifice in the name of manipulation. Similarly, those with an affinity for the Red Tide are known only for their passions, whether it’s rushing into action against evil or good. Me? I was Blue Tide with a mix of Indigo—the Tide associated with compromise and justice. And that’s where we get into another parallel between Planescape and Tides of Numenera: In three hours, I only got into a single battle. See, another reason Planescape is so famous is that most often the “best” route through any given quest didn’t involve any combat at all. Unlike most RPGs, the most important stats were Wisdom, Intelligence, and Charisma. Even the final boss battle can be won simply by talking. I’m not sure Tides of Numenera goes that far, but it definitely comes close. Even in the midst of battle, you can stop and talk, try to appease your enemies instead of killing them outright. You can talk your way through pretty much every quest it seems, given the right approach and stats. Your character and party members each have points in Might, Speed, and Intellect, and it's pretty obvious what those correlate to. What’s interesting is how Tides of Numenera resolves skill checks. Rather than simply comparing your stats to a number and giving you a Yes/No answer, Tides of Numenera lets you “spend” your stats to get a better result. For instance: You’re trying to convince two groups from opposing factions to leave each other alone. You use a Might check, and your base stats give you a 40 percent chance of succeeding. Well, you have 8 points in Might, so you can spend 3 of them to raise that chance up to say 85 percent—a much better chance. Those spent points aren’t gone forever. They return when you rest, which—like any other Infinity Engine-inspired RPG—suggests that you can abuse the rest system. But that’s a question for the full review. At the moment it at least seems like a more interesting idea than just thumbs up/down based on your raw stats. Asking inXile’s George Ziets about abusing the rest system, I also found out certain quests in the game are timed. It’s not on a level with Fallout, with its 100-day limit. One of Torment’s goals though is to make failure as interesting as success, and so certain quests will move on with or without your assistance. 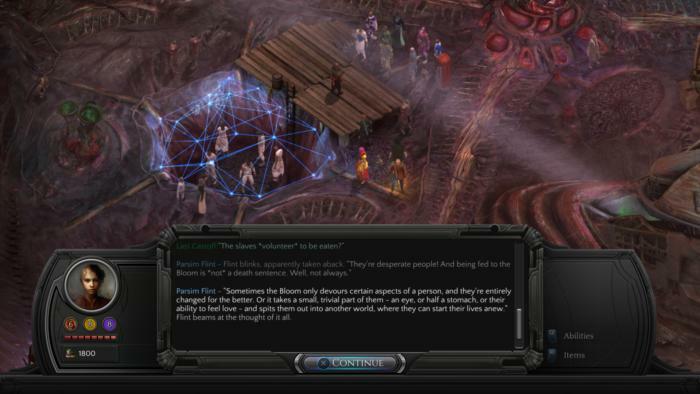 An example, trying to avoid as many spoilers as possible: At one point while exploring the Bloom, you’ll come across a group of religious protesters who demand that [A Thing] happens, and soon, or else violence may result. If you resolve the quest right away, great, you’re done. But if you put it off for a few days, Ziets tells me you might return to find the protesters have indeed taken matters into their own hands, with much more disastrous results. It’s an interesting idea, though like all time-based missions in games I expect it’ll also be divisive. Players really seem to love the idea of dropping quests into a big ol’ bucket, returning to them at their leisure. I expect a few complaints. Three hours with a game is a long time—even side-stepping story spoilers as inXile requested, there’s still seemingly infinite amounts of stuff I could cover. The bottom line though is that from what I’ve played, Tides of Numenera is what I’d want from a Planescape successor in 2017. It’s more approachable, more “modern,” but keeps the trademark weirdness that defined its predecessor. We can do literally anything with video games, go anywhere, create any world we want. We’re not limited to generic sword-and-board fantasy and post-apocalypse retreads and modern war games. It’s high time an RPG recognized that fact again. Torment: Tides of Numenera might just.